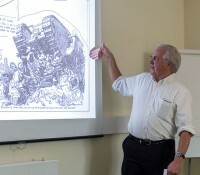 3rd February, 2019 History of Public Parks, 22. Another feature of late-Victorian parks was the bandstand. Despite having a similarity with market crosses such as the one in Beverley Saturday Market Place purpose-built bandstands have a relatively short history, the first, allegedly, built in the Royal Horticultural Gardens, South Kensington in 1861. By the late 19th century, however, bandstands were an almost indispensable feature of any substantial public park. As in Hull’s parks many have been demolished since the 1940s having fallen derelict with declining local authority budgets, with changing musical taste and with competition from other forms of entertainment. The one shown above is sited in Sefton Park, Liverpool (taken from the Internet) and examples the fashion of the time for things oriental. Despite the fact that most bandstands were built on a raised dais evidence from the Hull Municipal Minute Books, Parks and Cemeteries Committee shows that here they were best slightly ‘sunken’. Also it was resolved in 1907 to re-locate the bandstands in Pearson and West Parks as with the increasing popularity of park visits and with greater diversity of park provisions their site was considered inappropriate. It was resolved to move the one in Pearson Park first and to site it near the statue of Queen Victoria. The statue survives but not the bandstand, nor do the bandstands survive in other Hull parks. However, there are plans to build a new bandstand on the same site in Pearson Park. 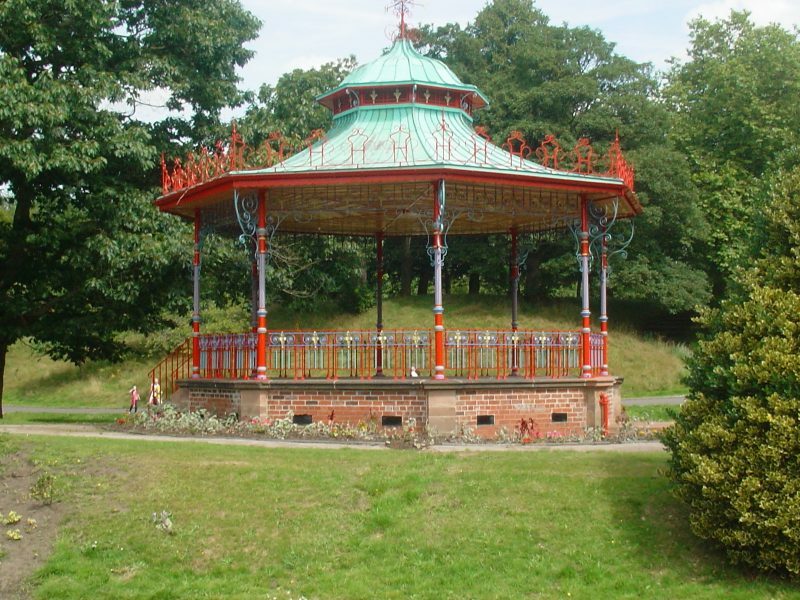 There is a relatively modern, small bandstand in Queen’s Gardens, Hull, but is decorative rather than functional. A fine bandstand exists in People’s Park, Grimsby and is currently used for musical presentations on Sundays during the summer. In Valley Gardens, Withernsea a modern bandstand was incorporated into up-gradings in the late 20th century. The rise and fall of bandstands corresponds with the phenomenal rise in enthusiasm for brass-bands in the late-19th century.